Segundina Cornejo Vizcarra started her eponymous company 94 years ago as a hand-embroidery studio where some of Manila’s finest needlework was produced. She opened several retail shops later on, selling various Philippine-made products for tourists and local buyers. The company evolved through years as it adapted to changes in trends, as well as the ebb and flow of the economic landscape. The Vizcarra matriarch’s only daughter, Vicky Vizcarra Amalingan-Sales, continued to grow the business by tapping into new markets and diversifying the company’s line. To the company’s portfolio, Vicky added bags and corporate giveaways handcrafted by S.C. Vizcarra’s seasoned artisans who are adept at weaving leather, wicker, and other materials. Just as her mother and grandmother have done before her, Rita, who joined the mother company as its creative director a few years ago, initiated some changes to ensure continuity. She launched a new brand under the S.C. Vizcarra umbrella, naming it Zacarias 1925 as a tribute to her sculptor-grandfather. 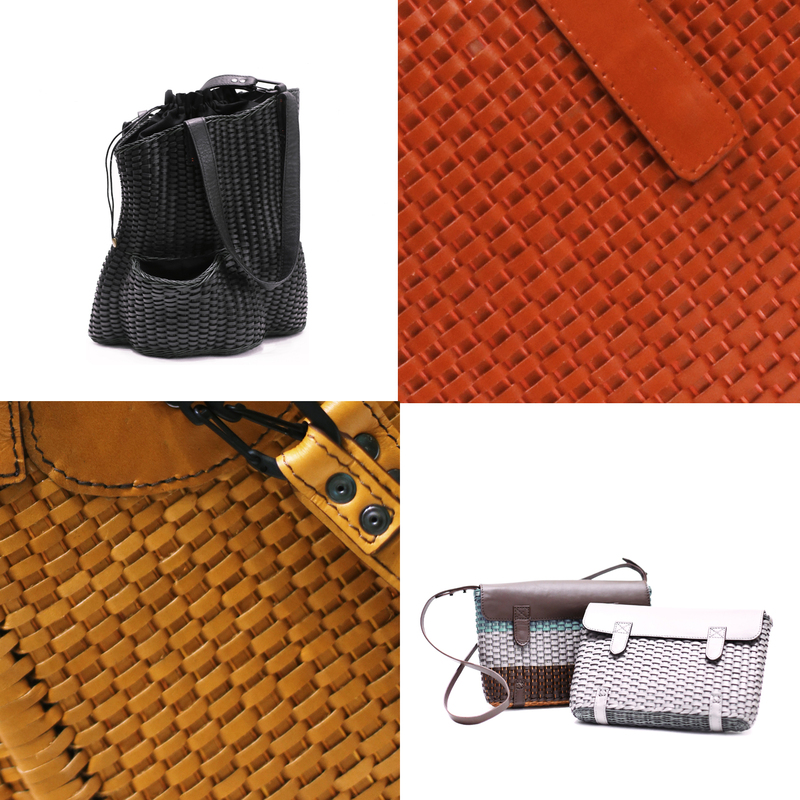 (Top left) Frank tall leather and wicker tote bag, Zacarias 1925; (top right, bottom left) the intricate weaving that has become a signature for both S.C. Vizcarra and its off-shoot, Zacarias 1925; (bottom right) Regala sling bags made from leather and wicker, Zacarias 1925. S.C. Vizcarra’s trademark weaves are recognizable, but Rita’s adventurous direction gives Zacarias its bolder personality that contrasts with Vicky’s quiet style. For her designs, Rita draws from myriad sources, such as cinema, art, architecture and history. A recent collection inspired by one of Frank Gehry’s masterpieces expresses the architect’s amorphous, muscular dimensions. For another bag series, Rita interpreted indigenous weaves using wicker. 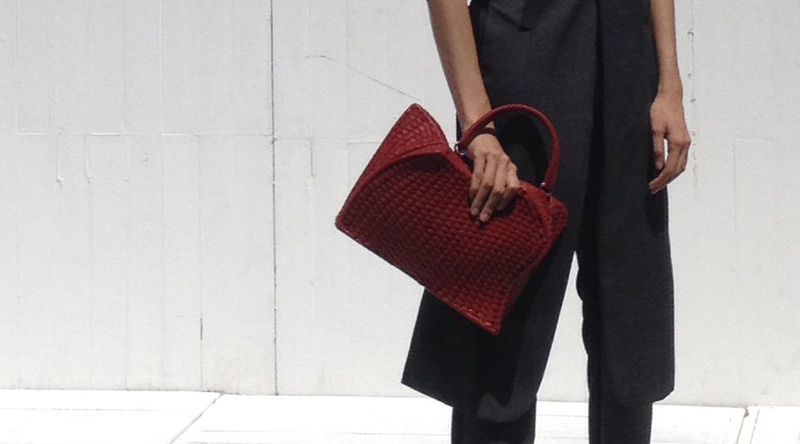 The Bilbao bag is from a collection inspired by architectural forms. The new designs maybe challenging to produce, but Rita knows that innovation is essential for a company’s survival. She continues to push boundaries with an extension line of home furnishings and accessories, some of which were created in collaboration with other designers and artists. Just last year, mother and daughter opened S.C. Vizcarra’s first flagship store. Inside, Rita’s collections mingle with her mother’s classic models to express their vision for the future where tradition and modernity reside in harmony. Top photo: Rover mini cylinder sling bags in leather.